Trinity University Press, 9781595342591, 320pp. Every year people watch in shock as homes are destroyed and communities devastated by natural disasters. As the media arrives, the information that is reported is mainly statistical. The horror of living through and recovering from the experience is rarely told because almost no one has the emotional strength to speak out while the smoke is still in the air or the floodwaters are still receding. The stories of a disaster's most important effects--which unfold invisibly for months and sometimes years--are never told. That is, until now. Hail of Fire: A Man and His Family Face Natural Disaster is an intimate account of the third worst wildfire in modern U.S. history, and the most destructive in the history of Texas. 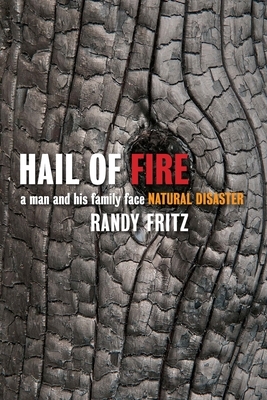 It is a memoir about what happened to Randy Fritz, an artist turned politician turned public policy leader, and his family during and after, combining a searing account of the fire as it grew to apocalyptic strength with universal themes of loss, grief, and the rebuilding of one's life after a calamitous event. The wildfire itself was traumatic to those who witnessed it and suffered its immediate aftermath. But the most significant impact came in the months and years that followed. Randy Fritz is the former chief operating officer of the Texas Department of State Health Services, the state's public and mental health agency. He helped coordinate the state's response to Hurricanes Katrina and Rita and led the team that implemented the Children's Health Insurance Program in Texas. Fritz lives in Bastrop, Texas, with his wife, Holly, and their youngest daughter, Miranda.